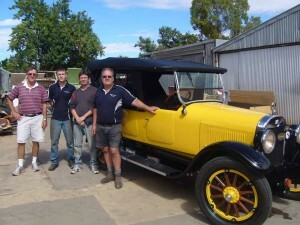 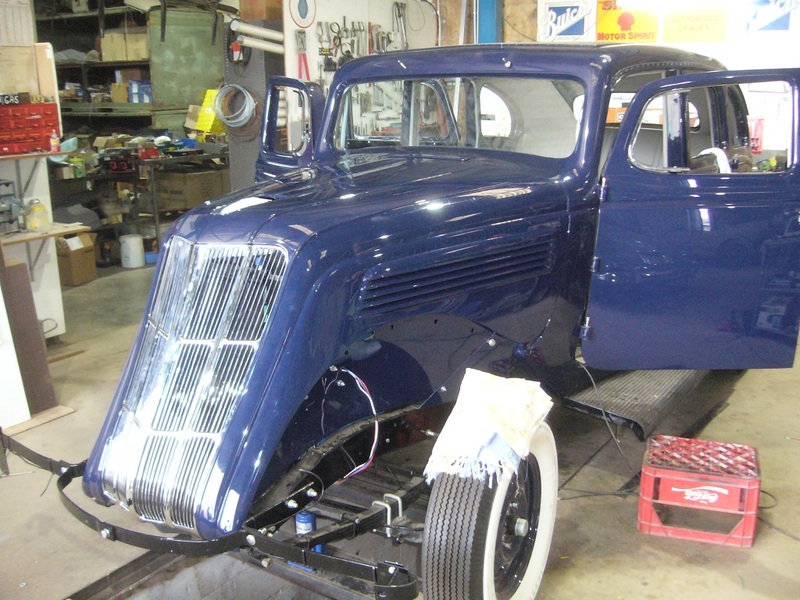 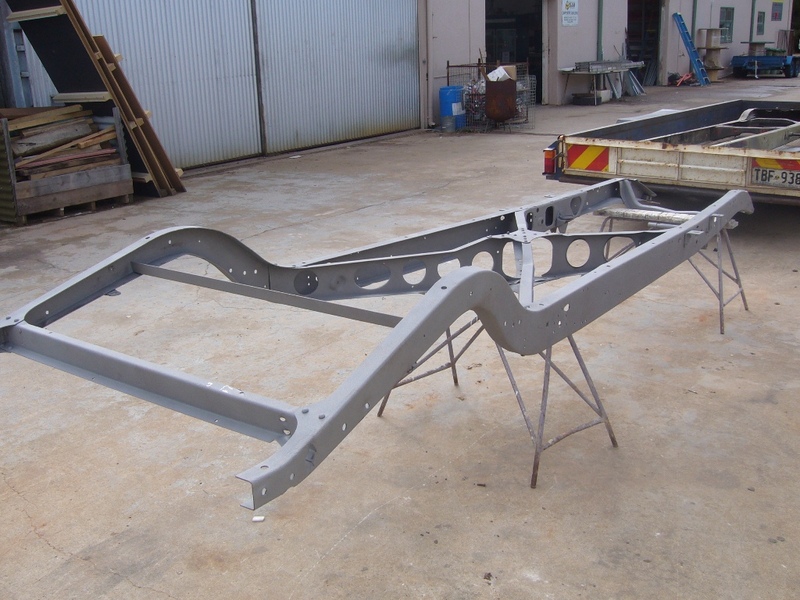 After disassembly and sand blasting it was found the the chassis required straightening. 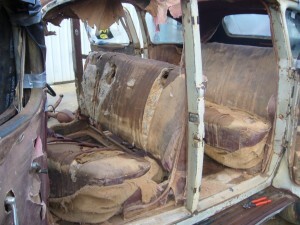 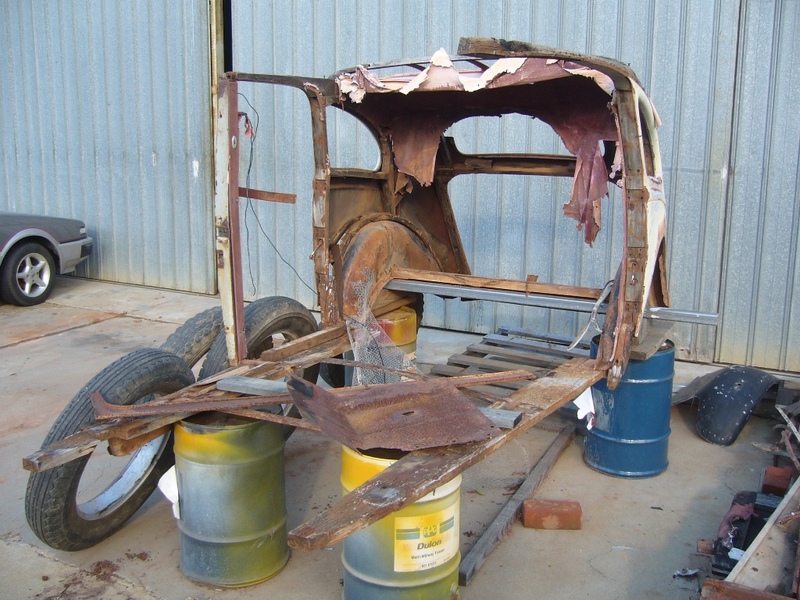 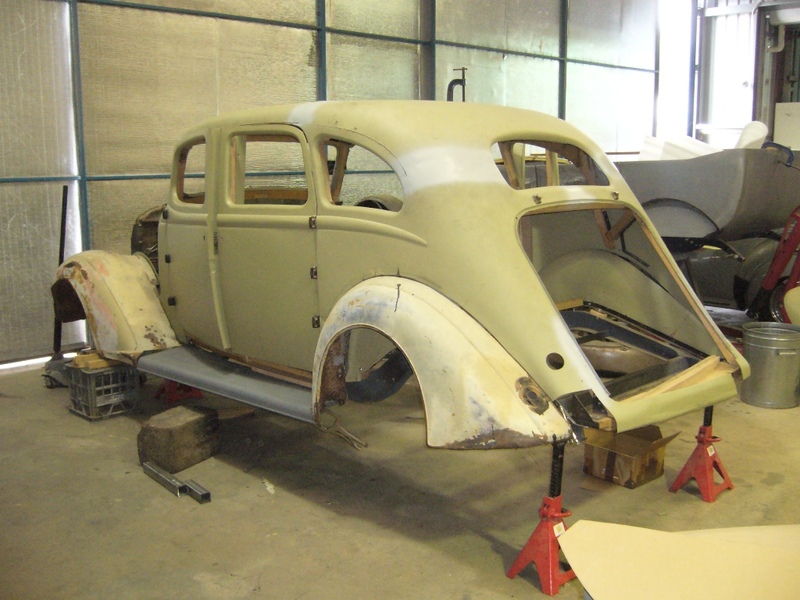 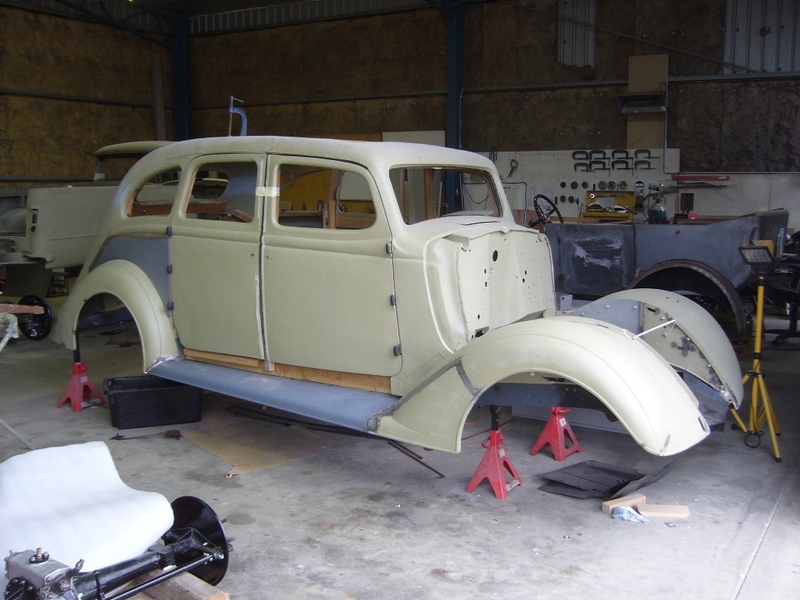 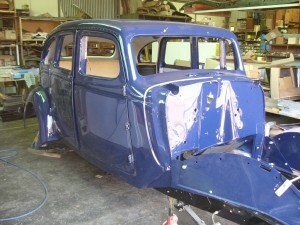 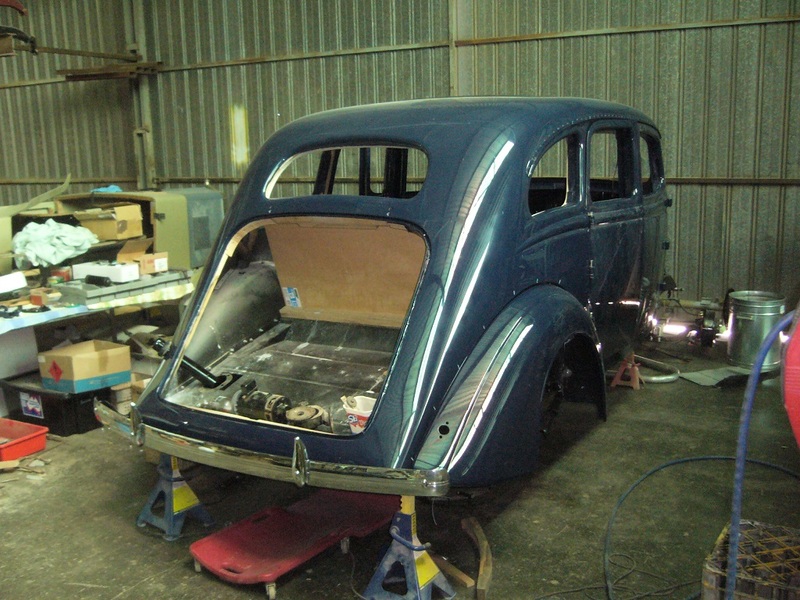 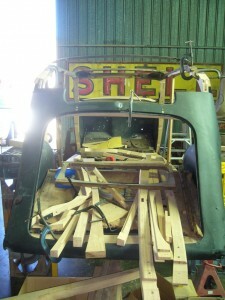 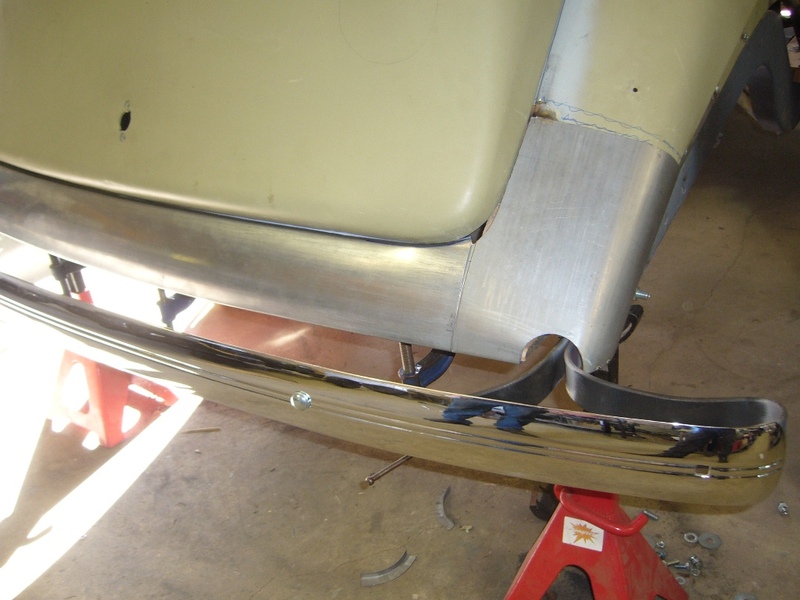 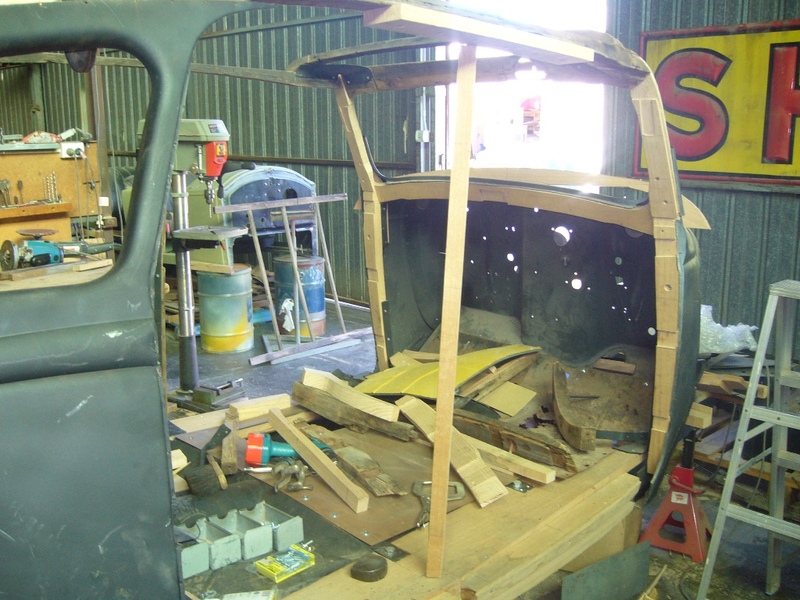 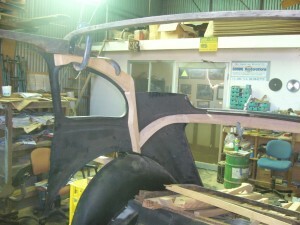 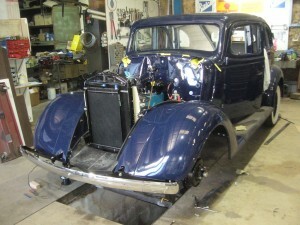 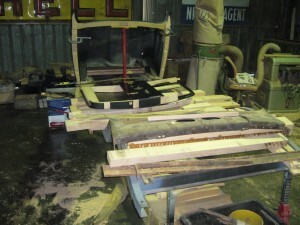 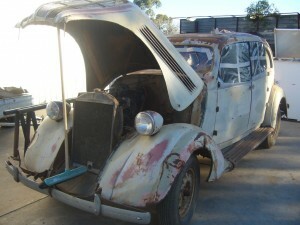 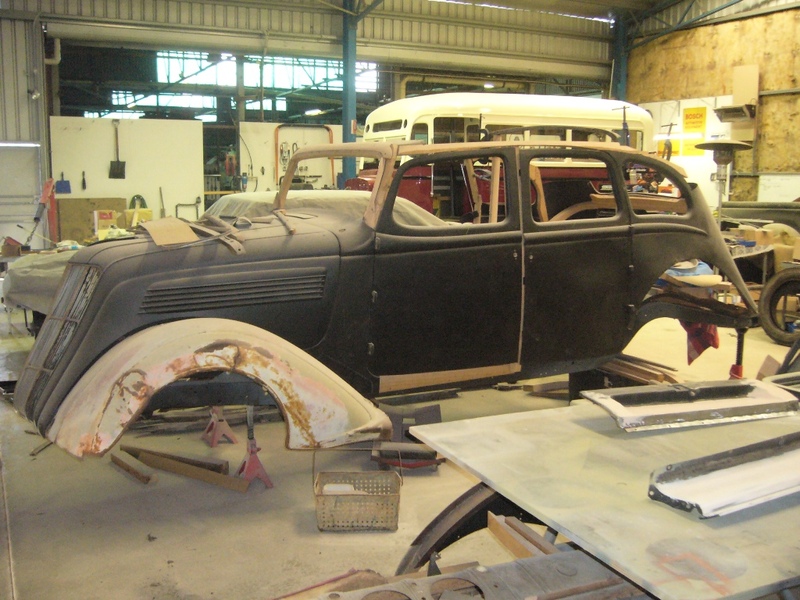 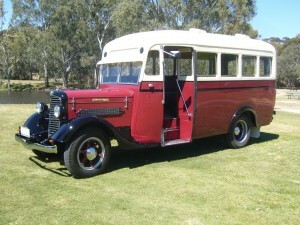 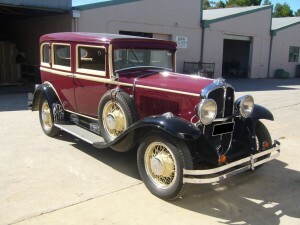 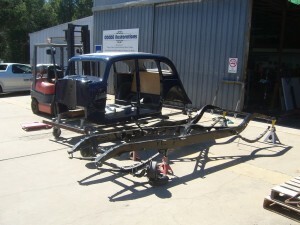 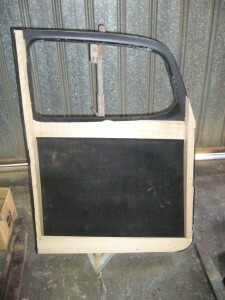 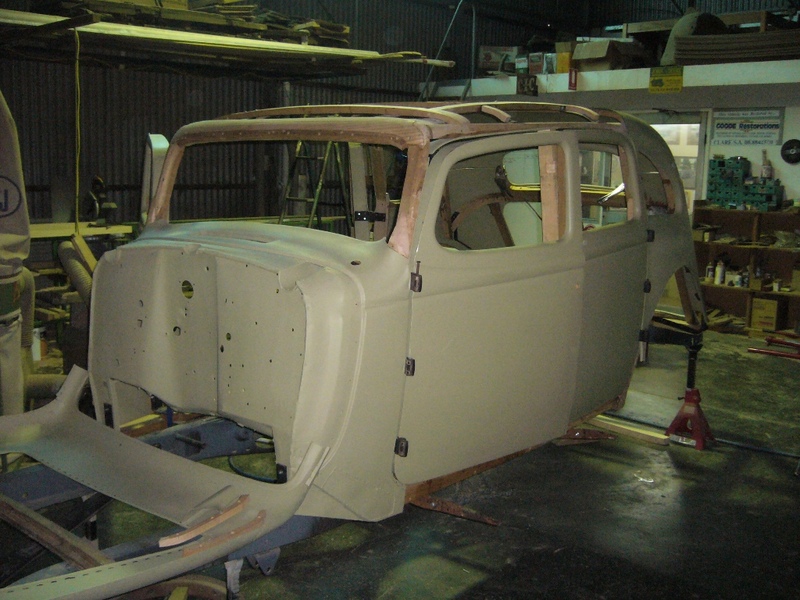 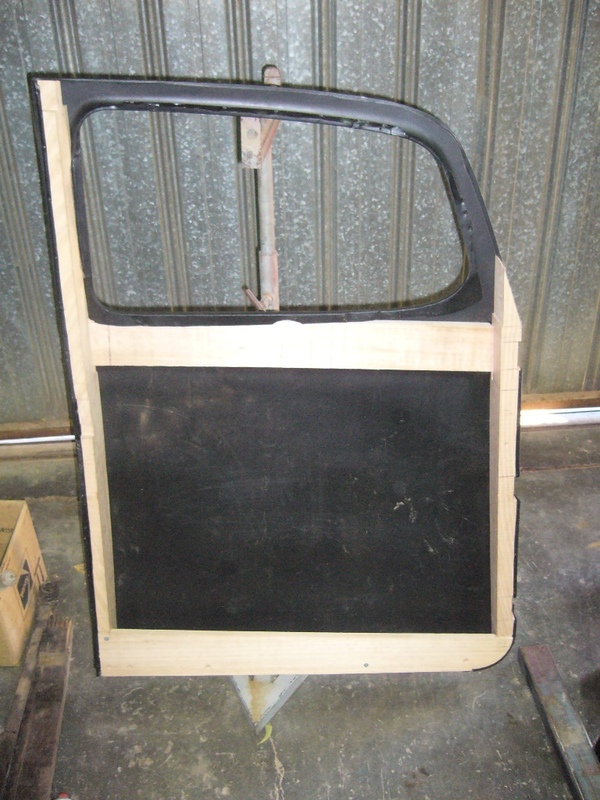 The body after having front metal work removed, so the timber frame can be remove for remaking. The wood for the body taking shape. 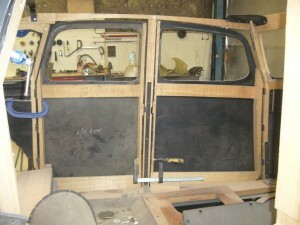 The wood for the doors ready for gluing. 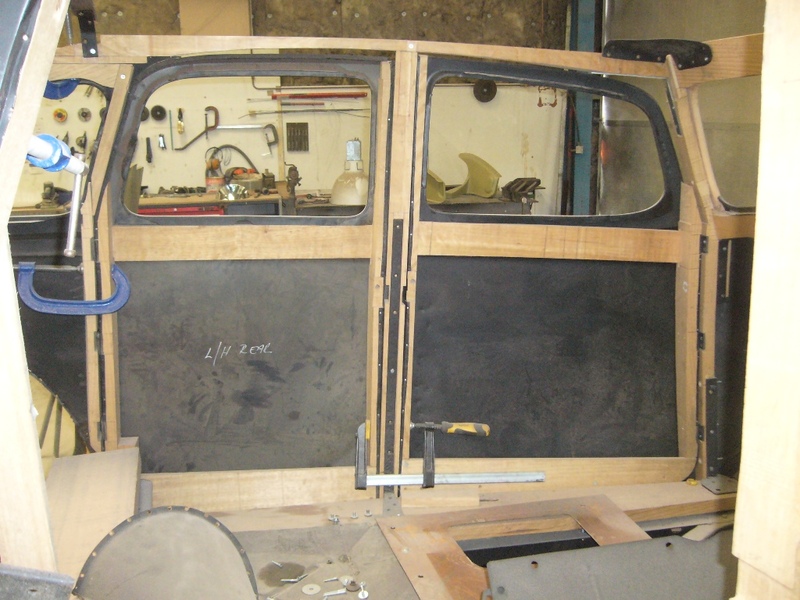 Rear steel work and timber starting to be fitted. 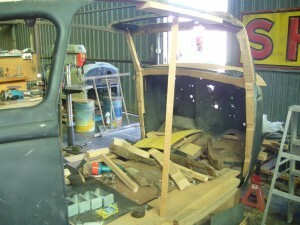 The old wooden roof was fitted to make sure our new wood was the correct hight for the roof.